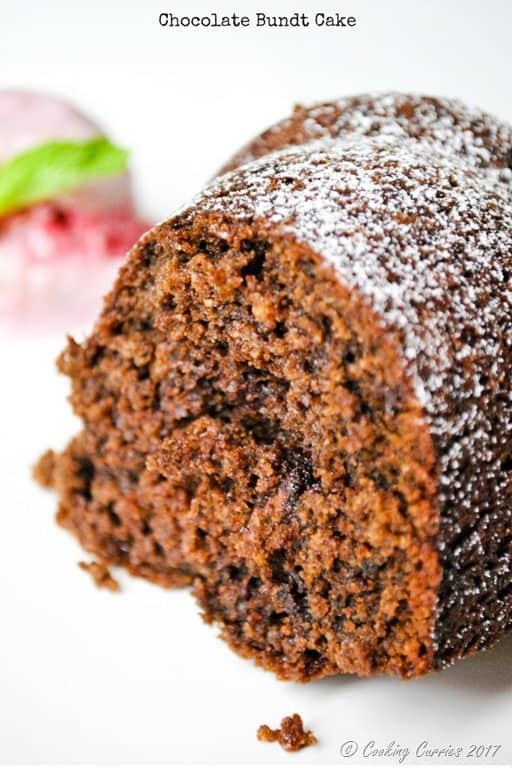 Delicious and moist chocolate bundt cake, that you can make everyday and devour everyday! 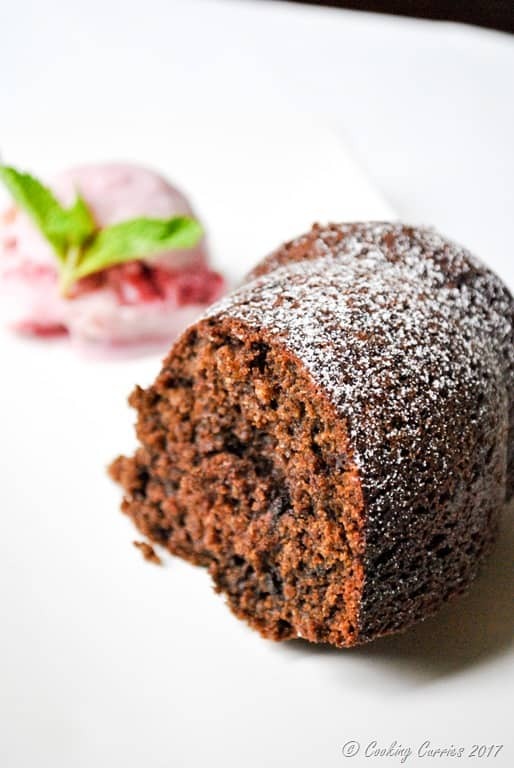 Chocolate is something that I can get a craving for instantly – by seeing a picture of a chocolate something, reading a chocolate something recipe, sometimes even after I have just finished eating one of the giant chocolate muffins I get at deli at work. I came up with this recipe last day work after one such post chocolate muffin craving. I used my basic cake recipe – added some cocoa and changed the ratio a little to accommodate for more sugar. I was to bake this last week sometime but I was a little extra lazy after a super busy week before this and so this became my weekend baking. I did not add any icing to this cake as this is a everyday kind of cake. If you are making this for an occasion, I would suggest icing the cake with a chocolate glaze! The next time I try this I wanna add some raspberries or strawberries in it. Berries and chocolate is such a wonderful combination. Orange is something else that I would like trying in this cake recipe. You may have noticed that I added a little coffee – it enhances the flavor of chocolate. It is completely optional. 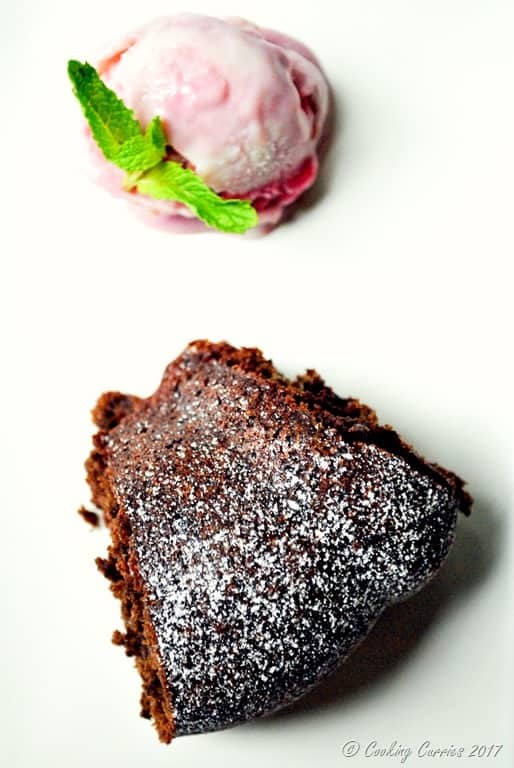 What other flavors do you think will go well with this chocolate cake –either to add to the cake or to have on the side? Preheat teh oven to 350F. 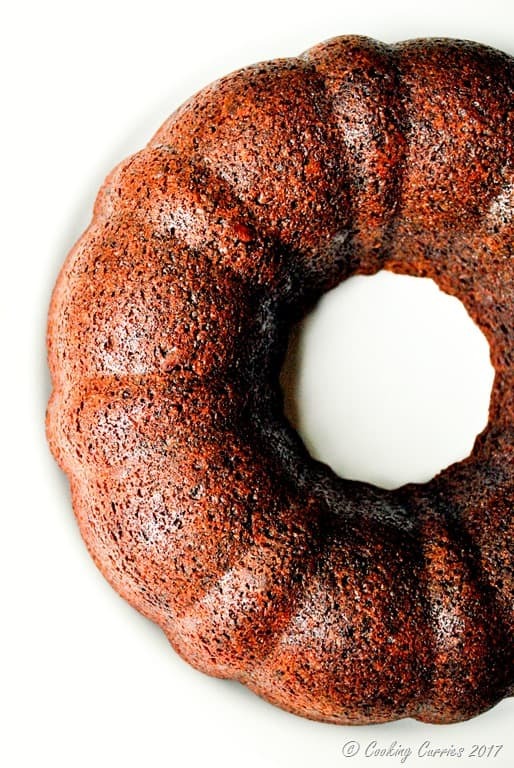 Grease the bundt pan and keep aside. Sift the pastry flour, baking powder, baking soda, salt and cocoa powder in a medium bowl and keep aside. Cream the butter, oil and sugar together in a stand mixer or by hand and add the eggs to it one by one. Add the vanilla and espresso and mix well. Fold in the sifted dry ingredients till well combined. Mix in the cream and the chocolate chips as well. 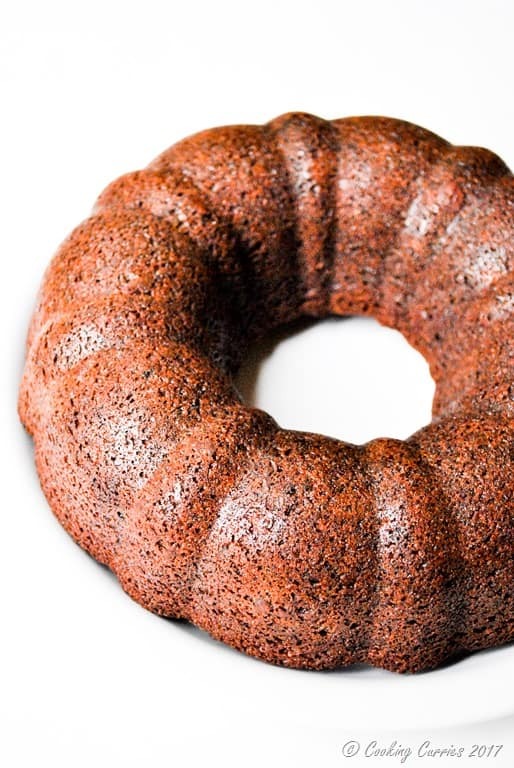 Pour into the bundt pan and bake for 40-45 mins until a skwere when inserted, comes out clean. Let cool in the pan and turn it out. Dust some powdered sugar on top, optionally. Enjoy it warm.